Kadala Curry is the most sought side dish for Appam. 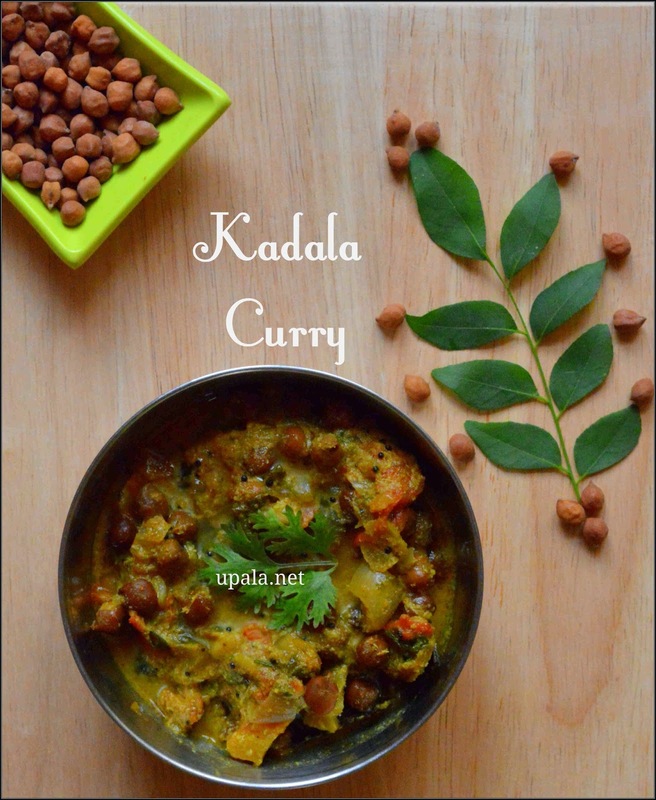 This Kadala Curry is famous in Kerala Cuisine as well as Chettinadu Cuisine. In Kerala this curry is paired with Puttu for Breakfast. I love the kadala curry which my friend brings for lunch in my college days. So I asked her for the recipe, she is so kind enough to get the recipe from her mother and shared with me. Thanks my dear friend for sharing the recipe and I am sure your Mom's recipe will be relished by many around the world. 1) Soak the dried Brown chickpeas/Brown konda kadala/Kala channa overnight. 2) Next day pressure cook the soaked Channa for 3-4 whistles. Channa needs to be cooked soft, if you feel it is not cooked well try few more whistles. 3) Heat 1 tsp oil in a kadai and fry the ingredients given in "For Grinding" till raw smell goes off. Maintain low flame through out the process. After roasting, let it cool down then grind it to a smooth paste. 4) Heat 1 tbsp of oil in the same kadai and add Mustard seeds to crackle. Add onions and green chilles, fry till onion turns light brown. Add turmeric powder and chilli powder and fry. 5) Next add tomatoes and fry till it turns mushy. Then add salt and add cooked Channa with water. 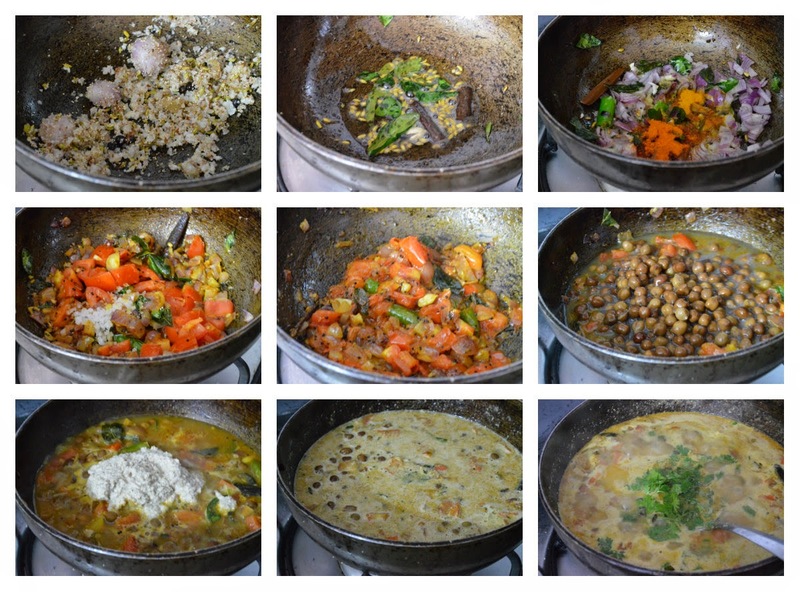 6) Cook it for 10-15 mins till Channa blends well with the masala. 7) Add the ground paste to the gravy and boil it till the gravy thickens. 8) Finally garnish with Coriander leaves and switch off the flame.